If you use Factoring or Invoice Financing to provide cash flow to your business, you can export copy-invoices in a batch pdf and export the same invoices in an excel file with your Finance Provider’s customer codes for each invoice. This provides an easy way to provide the required data to your Finance Provider. Your Finance Provider may have specific customer codes that you need to link to each invoice that you are financing. For example, while you may call your customer, Fontaine Food Specialties, your Finance Provider may code them as “FFD 006”. To ensure any such codes are visible in information you download for your Finance Provider, you need to set up the codes in the customer’s contact form. To do this, first ensure that have created a contact for your Finance Provider. (If you are not sure how to do this see Creating Contacts). Then put the required naming or coding information into the ‘Ordering Details’ area of your customer’s ‘Contact’ page. In the following example, we have noted in Fontaine Food Specialties Contact page that they are known by our Finance Provider, “The Bank” as FFD 006″. 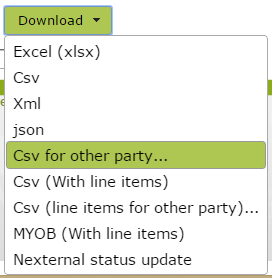 Insert the ‘Other Party’ into the ‘Alias Source’ column and ‘Their Code’ into the ‘Alias Code’ column. 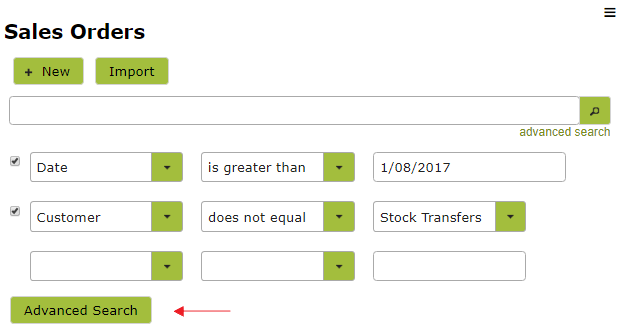 If you are adding codes for the same customer for more than one other party, create a new row with that customer’s Contact Code and add the second ‘Other Party’ and ‘Code’ into that new row. 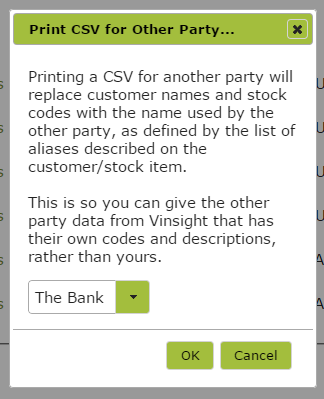 In the following example, we have added in ‘Alias Codes’ for ‘The Bank’ for the customers, A. Smith, A. B. Demo, Aus A1 Distributors and Fontaine Food Specialities. We have also added a second Alias Source (AB Distributors) and Alias Code (A Smith (Victoria)) for customer, A. Smith. Use the ‘Import’ button on the Contact list to import this information back into Vinsight. For more information on bulk importing see How to Import Data. To download or print a number of sales orders to a single pdf, simply go to the Sales Order List by clicking on the Sales Orders icon in the Orders and Inventory tab. Then used the ‘advanced search’ feature to identify the Sales Orders you are looking for. 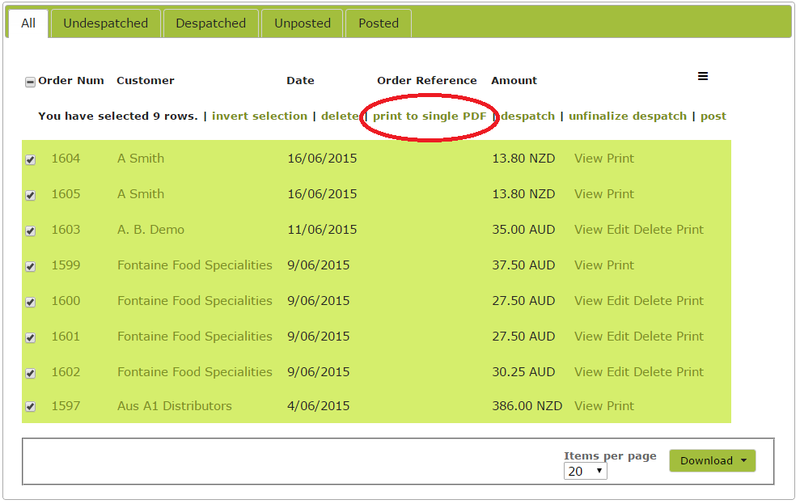 Select the invoices required and click the ‘print to single PDF’ option. This will download the Sales Orders selected into a single pdf file which you can then print or email to your Finance Provider. Note, this will download the Sales Orders in their original format. They will not include any coding referred to in Alias Customer Names above. This will then bring up a dialog box like the following. Select the name of the other party who’s coding is required, in this case, ‘The Bank’ and click ‘OK’. The Customer Codes you have set up in each customer for ‘The Bank’ will be included in the downloaded spreadsheet. The spreadsheet downloaded will likely contain more information than your Finance Provider requires. For example, it will include columns indicating the Contact Number the customer is known by in Vinsight and other information of no relevance to your Finance Provider. Simply review your data and delete any columns you do not need before forwarding to your Finance Provider.